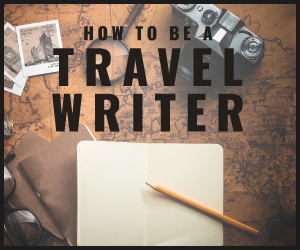 What travel writer could not use some writing tips? It’s a good idea to gather information from multiple resources. The more resources the merrier! Before taking-off for your next adventure pack these tips into your luggage. Travel as much as you can. This will make you an authority and give you a basic understanding of travel. It will help if you travel with an open mind. How about a volunteer vacation? These are very popular and it will be an unique experience. What’s your angle? Edinburgh, Scotland is a destination it’s not a story. Are you traveling with a backpack and staying in a hostel? Perhaps you are a woman traveling alone in Scotland. Are you an artist traveling to Edinburgh for The International Fringe Festival? Instantly more markets open up. Write, write, write! To get published write well. The best way to improve your writing is to write often. Even if you do not get published you have an arsenal of material to show family and friends. English & Grammar Lessons can help improve your writing. If you’re not a strong writer, these lessons will help you hone your writing skills. Read, read, read! Study history and guidebooks. Read every travel magazine you find. Pickup the local newspaper and read the travel section. Check out our Top 10 Travel Writing Books. Happy reading! Research. Good knowledge of the region and culture of your destination will go a long way. When you arrive, pickup a newspaper or two for details, tidbits, and quirks. Know your market. If you’re writing for your own blog then your already know the reader. If you are writing for magazines, websites, or newspapers, make sure you’re familiar with the publication and it’s needs. Know the guidelines. Editors are very busy people. Before you submit a query, be sure to read the guidelines. Write or call publications for guidelines. Read past issues of a publication to get a “feel” for their style. This will help you know what was published so you do not propose a similar story. Nurture your passion. Remember that travel is your passion. Isn’t it? Keep traveling and experiencing the world. Whether you travel alone or with friends, at least you had the “guts” to travel to places that others would shun. Even if your story does not get published, remember these countries or regions probably enriched your life in more ways than one. What do you know? Writing what you know will make you an authority. Your own “backyard” will be interesting to someone, somewhere in the world. And who better to write about the Navy Pier or Lincoln Park than someone who lives and works in Chicago, IL! Are you an ice sculptor? Imagine the interesting article you could write about the ICE ART 2008 World Ice Art Championships, Fairbanks, Alaska USA. Don’t quit your day job! To keep yourself in the “black,” find (or keep) a “regular real-world” job. Good luck! You could find a really cool “real-world” job. It’s even better if you have the freedom or option to travel. Be Patient! Easier said then done! A travel writing career can develop over years. Develop a thick skin! Do not take rejection personally because an editor said “no” to your story. Editors are very busy. Once you develop a relationship with an editor, stay with it. Be friendly, competent, work hard, and do not take things for granted! Go back to school. 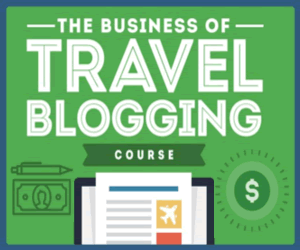 Checkout travel writing courses like the one offered by AWAI. Everyone can use a “boost” in their skills. Count your words. Write a travel article that is approximately 300-350 words. People do not have time to read a very long article! Write exciting and easy-to-read travel articles. If an article is over 600 words, break it into two articles. This will create a “sense of urgency” and will make the reader want to read the second part.